To provide a Compaction Solution for Major Pharmaceutical Manufacturer with liabilitiy concerns associated with lifting heavy trash carts. 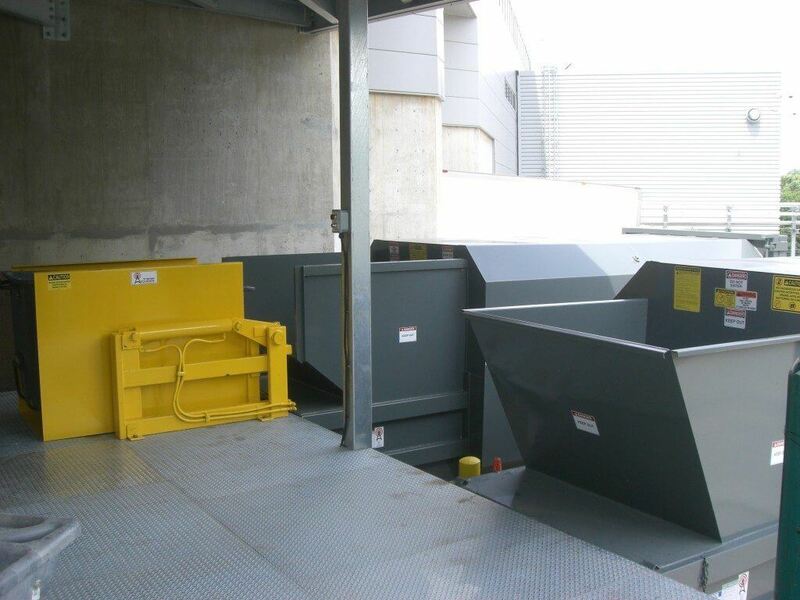 Client wanted a Compactor Solution to increase moral and ergonomics for their employees within a limited space. Designed a Low Profile Cart Lifter under an overhang allowing the clients employees to safely dump carts from a dock into a Self Contained Compactor. The lifter dumps tilt trucks from the dock increasing the workers efficiency and ergonomics while reducing company liabilities associated with manual lifting.